If you’re in need of a sturdy winch for your pickup truck or off-road vehicle, AllMoparParts offers genuine Mopar winches and accessories for your Jeep or Ram. 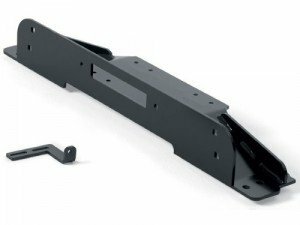 Generally installed in the front bumper, this device helps you haul, pick up, and suspend various objects. A winch can also draw your vehicle out of muddy conditions when you’re traveling off-road, making it a literal lifesaver in such circumstances. A winch utilizes a crank system to haul massive objects and balance cable tension. It’s also present in towing equipment as a towing winch, and is designed to tow cars and trucks with sufficient strength. Towing winches can either move these vehicles onto a towing platform or above a towing sling. You can even use it with a trailer hitch and move it to a back hitch, if you have one. A winch is great for off-roading as it can be used to pull an off-road vehicle out of a sticky situation if it gets stuck. When a second vehicle is being used to recover another vehicle, the hitch can function as a tow strap, with the second vehicle pulling the first one out. Lastly, you can fasten a winch to an item on top of a sharp slope in order to adjust your vehicle’s movements and keep it from rolling over while descending from the steep incline. In the same way, an off-road winch gently pulls your vehicle uphill so it doesn’t topple and slip due to the uncontrolled spinning of your wheels. 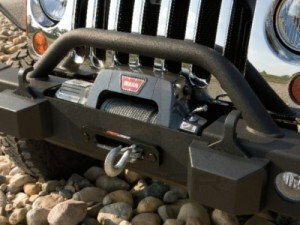 Looking for a durable winch for your Wrangler JK or Wrangler JL? Need to outfit your 2500 or 3500? Our customers are guaranteed authentic winches and add-ons for their vehicles, as we only sell genuine OEM products. AllMoparParts has a good selection of WARN winches and various winch accessories, such as mounting kits, adapters, winch covers, and winch lines. To top it all off, all of these items retail at discounted prices, helping you enjoy great savings.